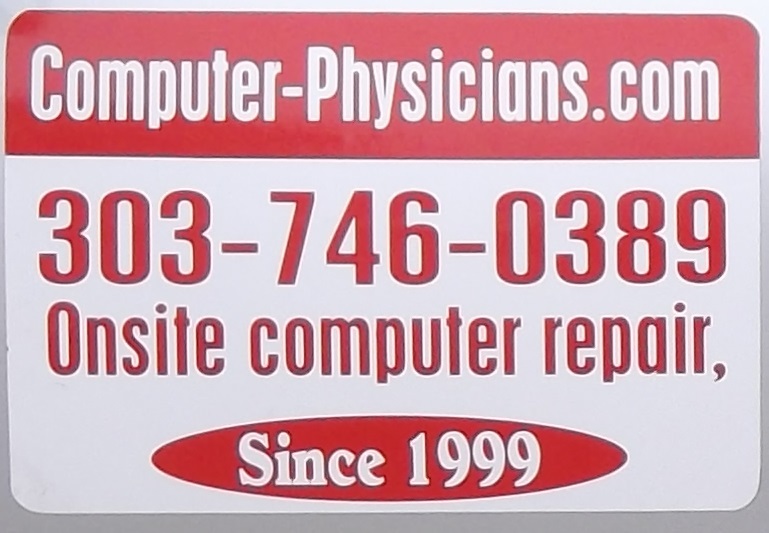 Computer Physicians servicing Denver, Colorado provides PC Computer Repair, Data Recovery. Servicing Denver, CO, since 1999. Prompt, quality on-site help, training, service & repair, networking, upgrades, sales, troubleshooting. in Denver, CO. In many cases we can be working on your computer the day you call, either at your location or ours. Since 1999. We are A+, and Microsoft Certified Professionals with advanced computer college degrees working with Windows PC operating systems, Network Security, Internet, Network setup, and troubleshooting in the Denver area.